Oceanfront Estate on the Mesa! This spectacular 4bed/4.5bath ultra-luxury home boasts ~5,100+ sq. 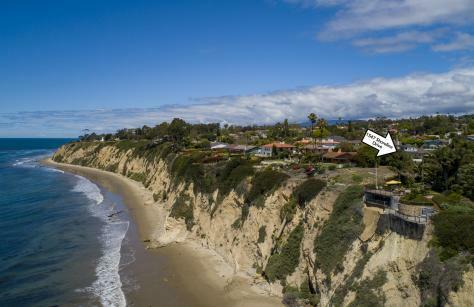 ft. of living space resting on over 1/2 acre of prime California coastline. 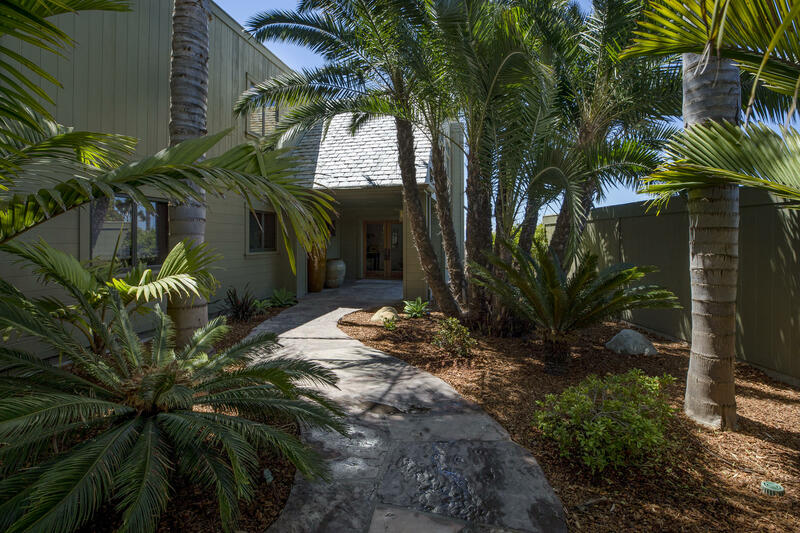 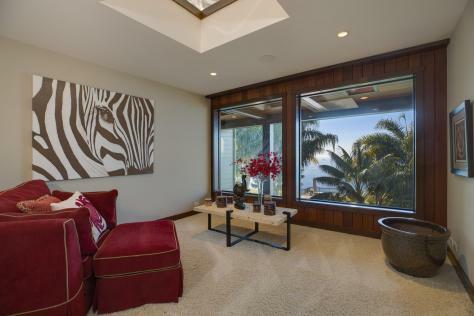 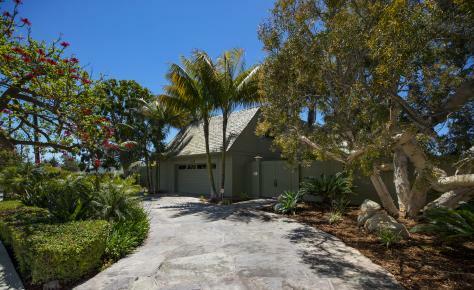 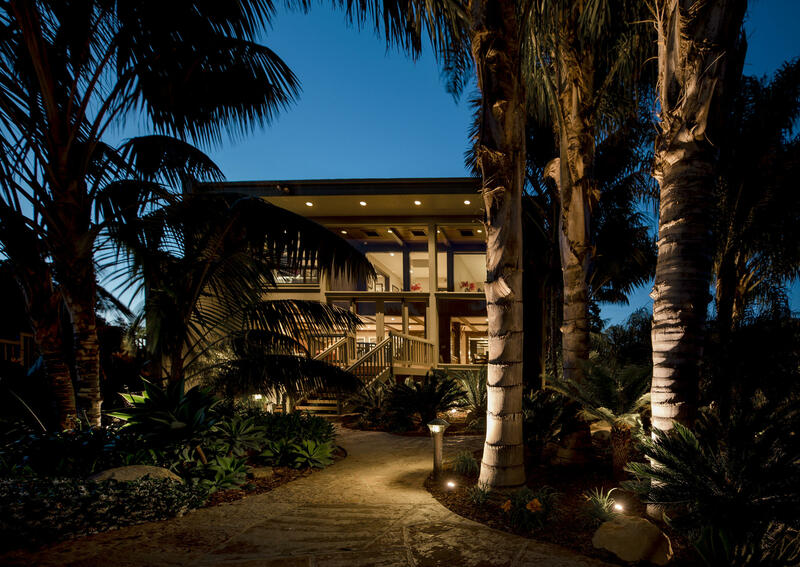 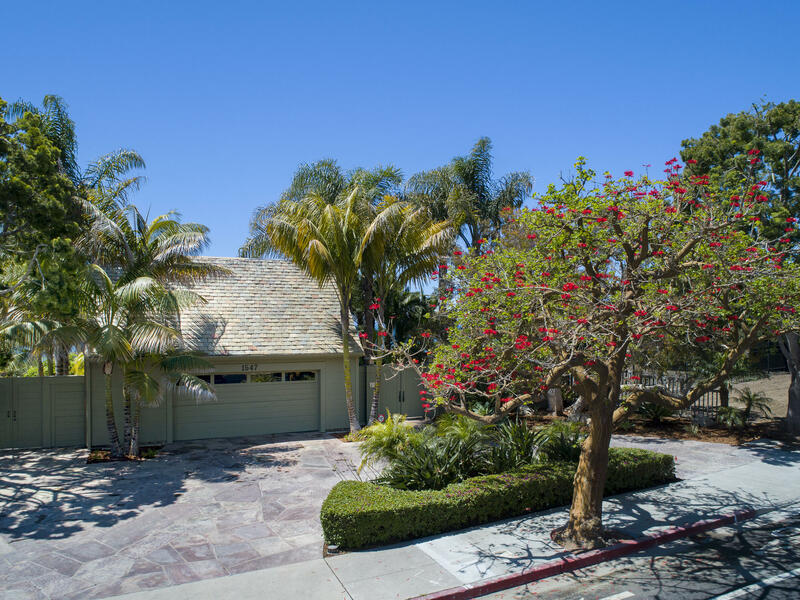 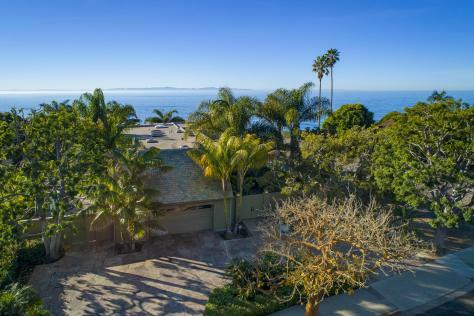 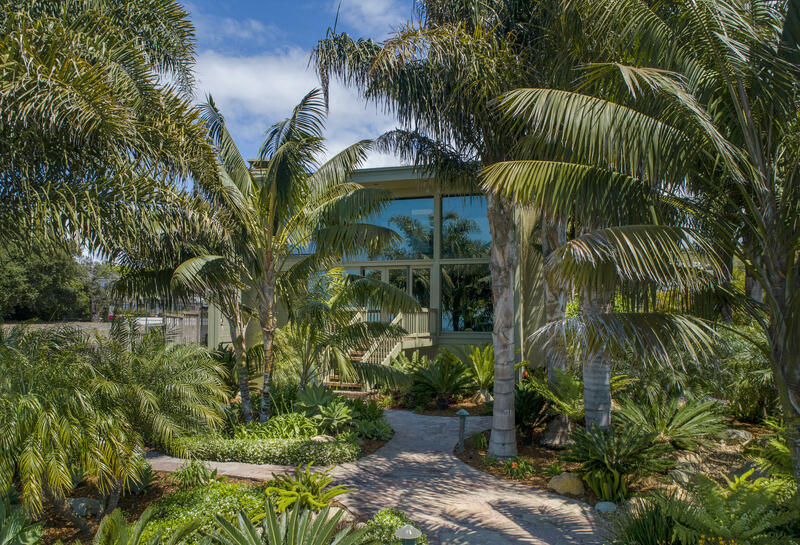 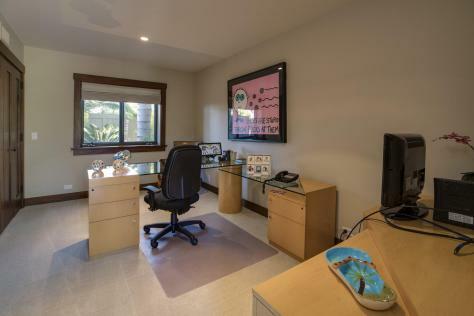 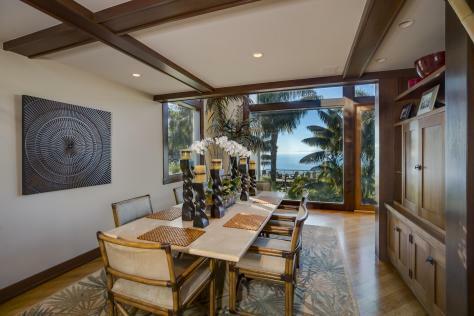 The contemporary residence is tucked privately off Shoreline Drive, featuring a circular stone driveway and a 2-car garage. 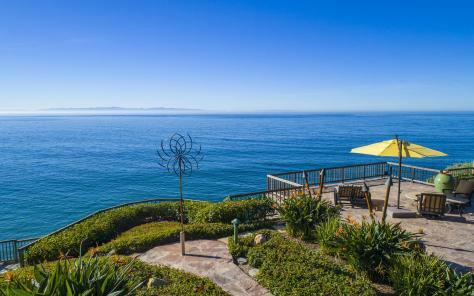 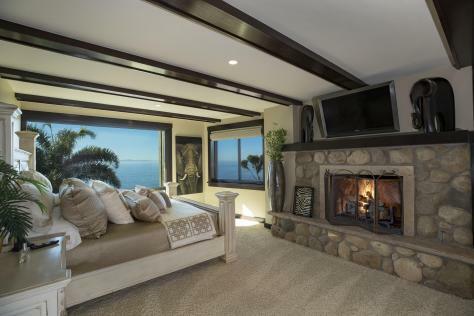 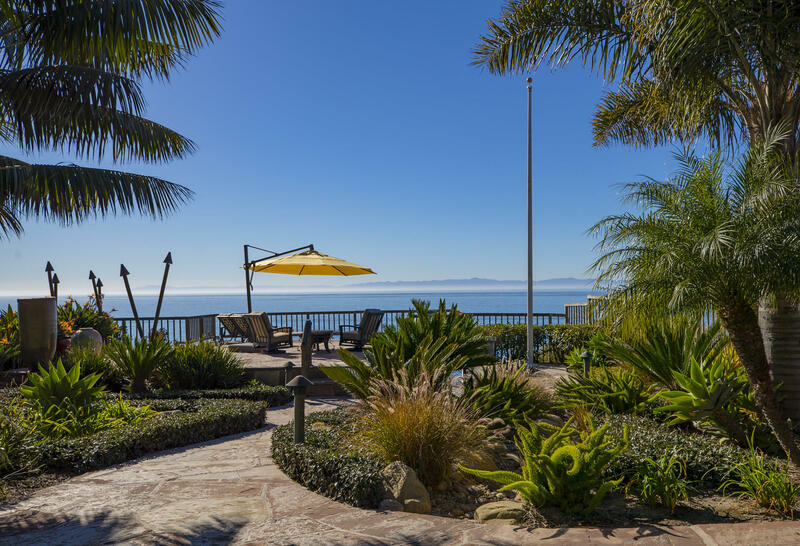 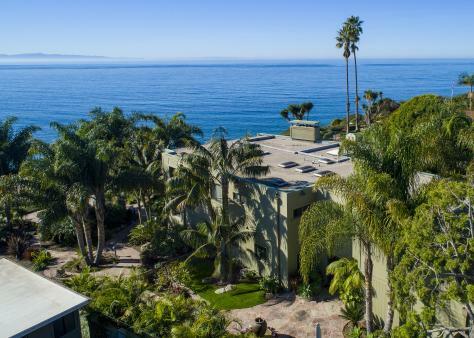 Enjoy expansive ocean, island, and coastline views from every corner of this incredible estate. As you pass through the entry gate, you are instantly transported to a tropical paradise with palm-lined walkways and warm sea breezes. 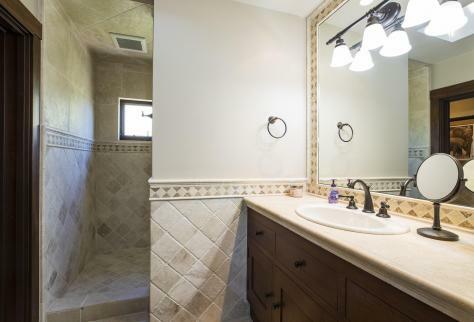 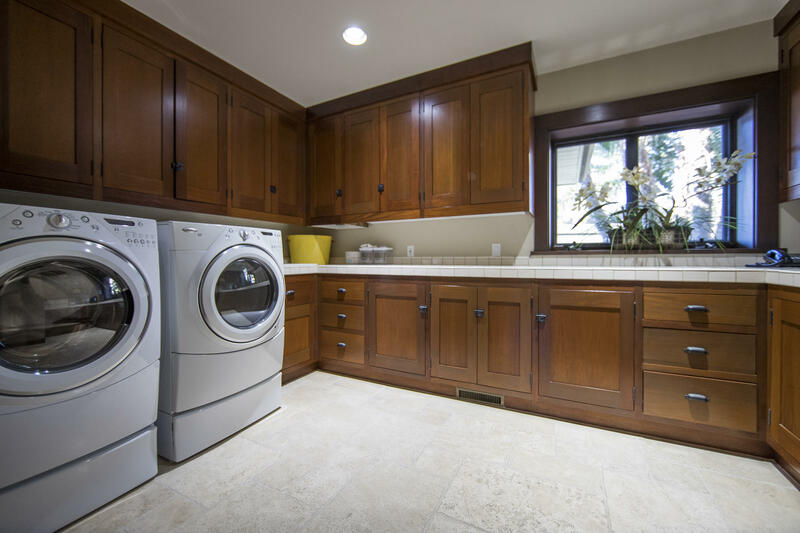 The quality throughout this home surpasses all expectations. 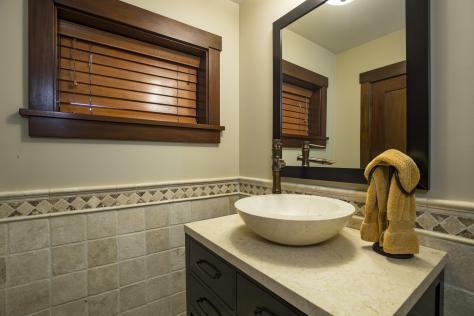 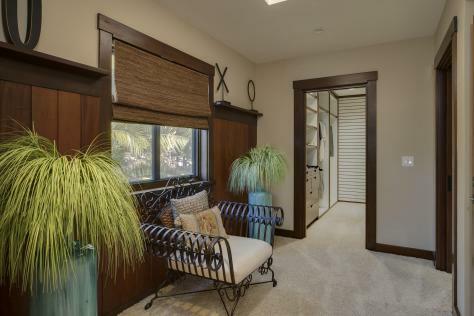 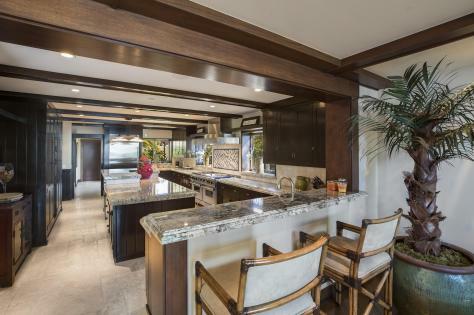 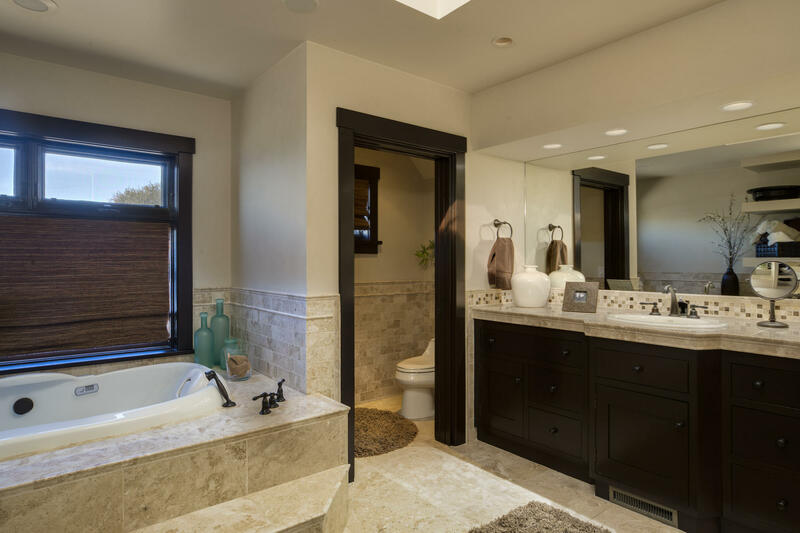 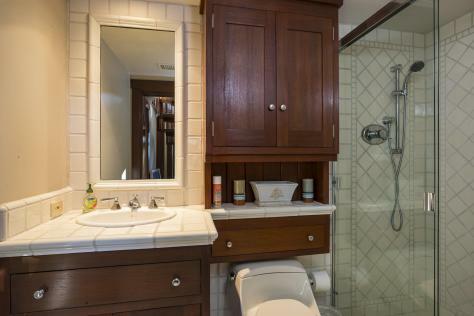 The hardwood and travertine tile floors seamlessly blend with the mahogany wood accents. 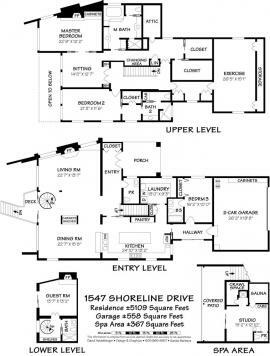 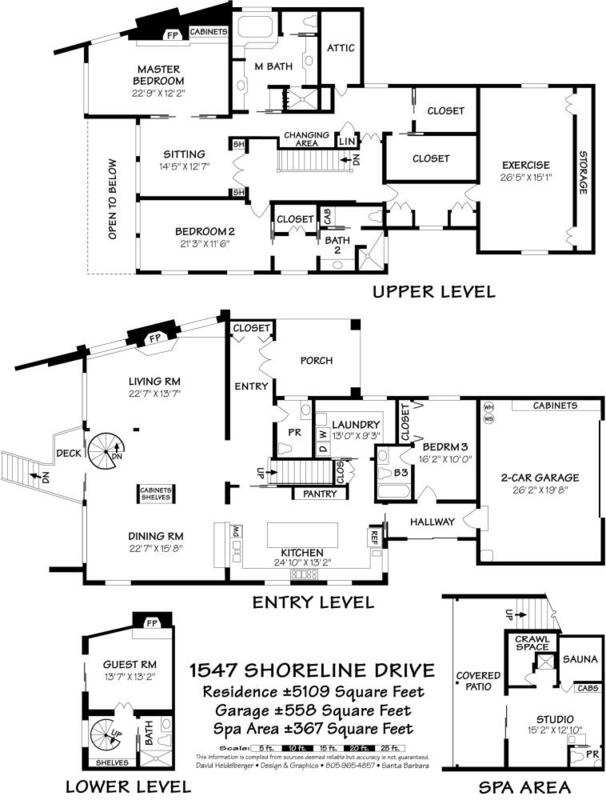 On the entry level you will find the charming living room, formal dining room, guest en-suite bedroom... ...half bath, and gourmet kitchen. 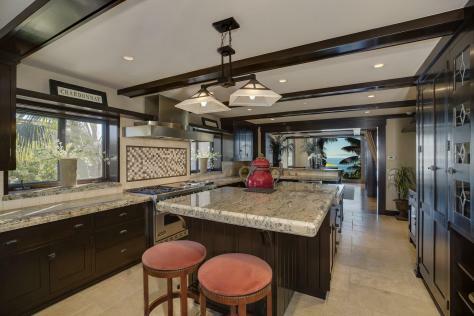 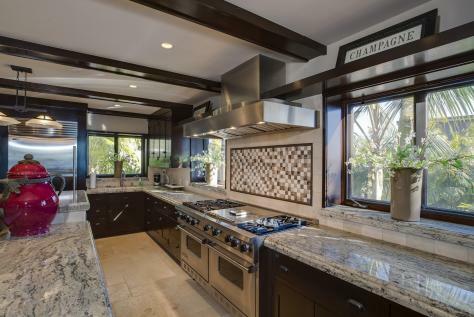 The custom designed kitchen is located in the heart of this home and features mahogany wood cabinetry, granite counter-tops, stylish back-splash, Viking Pro stainless steel oven, SubZero fridge/freezer, multiple sinks, and more! 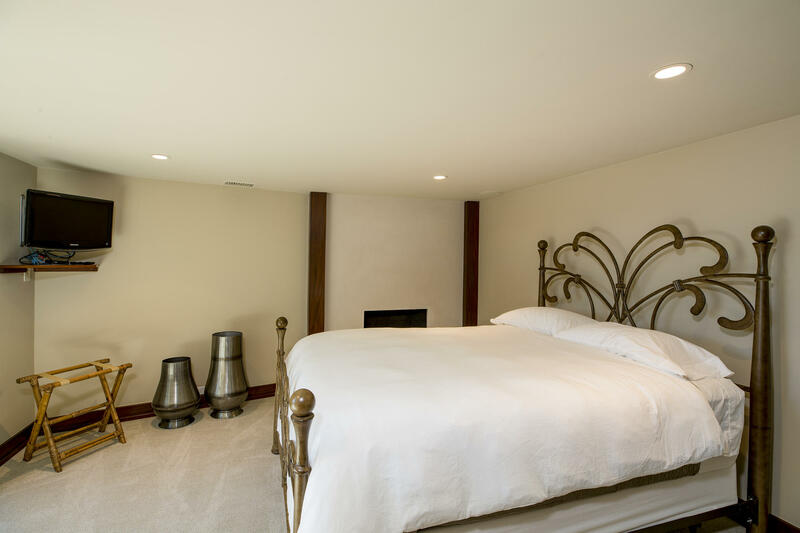 The master suite located on the second-level is nothing short of immaculate featuring his and hers closets, sitting area, river rock gas fireplace, and custom designed bathroom. 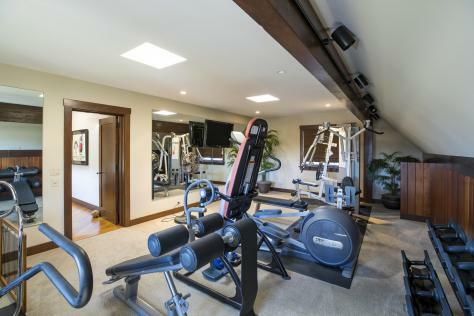 The upstairs also includes an additional en-suite bedroom and full size gym. 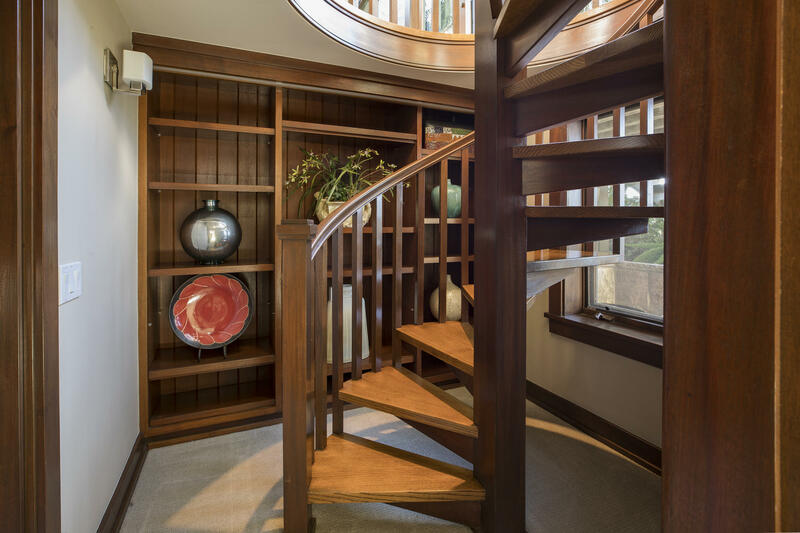 Take the spiral staircase down to one of the most fun rooms of the house! This downstairs en-suite bedroom features a cozy fireplace and slider to the backyard. 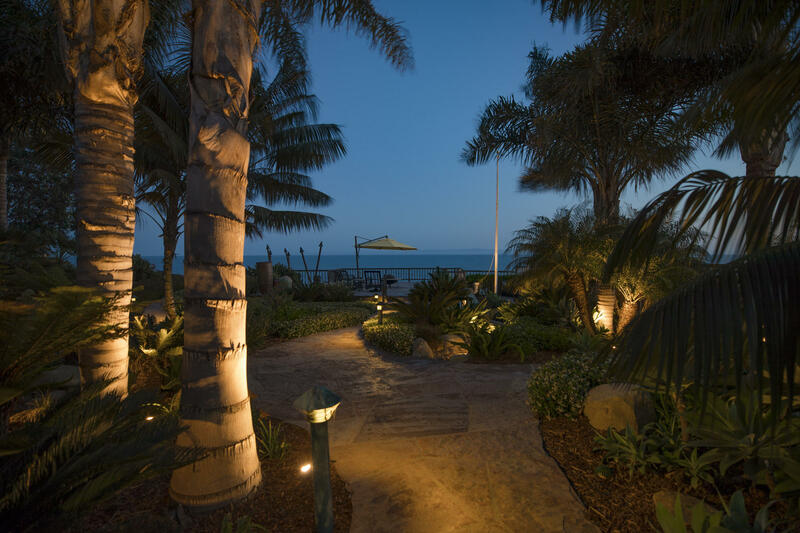 Once you enter the impeccably landscaped backyard, you may never leave. The jaw-dropping ocean views go on for miles and miles. 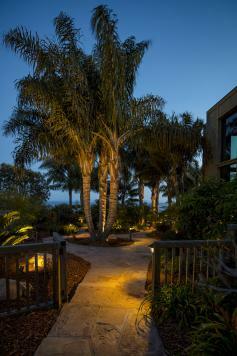 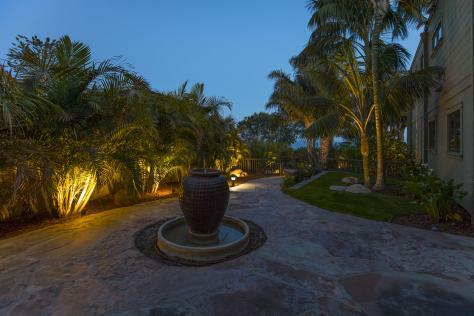 The backyard features lush pathways and custom lighting. 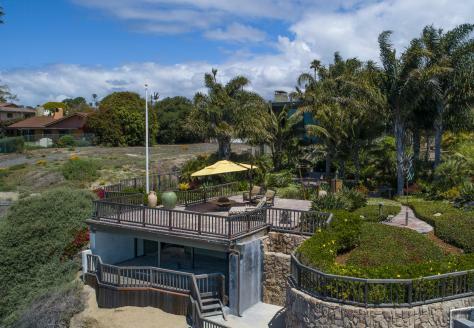 The feature that may stand out above all, is the two-story structure located on the bluff featuring multiple patios, hot tub, and viewing point. 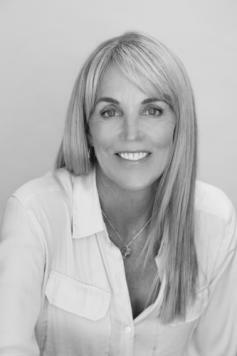 This is an exceptional opportunity to purchase a truly one-of-a-kind property.